Do Too Many Project Managers use Project Status Reports to Bury Bad News? A Project Manager, by the very nature of their role, is in a highly responsible position. Often they are given huge project budgets to deliver functionality critical to the future of Organisations with few controls. In return an Organisation expects transparent project reporting through project management reports so that stakeholders can accurately track progress. But do project managers always report the real project picture? As in all things in project management, there is a great deal of individuality involved in completing a project management report. Some project managers go into ridiculous detail and write a tome. Meanwhile others see reporting as a chore and as a result fill in the bare minimum. However the reality is that it isnt how much is written which is important, but rather what it amounts to. Now I bet you looked at the above list and thought, well whats so complicated about that? and you would be right. But the thing about project management is that it is an art not a science which involves dealing with people and their emotions. After all, is it always a good idea to panic your project sponsor over an issue which you know full well you could easily resolve given time? Not only will you be raising unnecessary alarm bells, but you will quickly gain a reputation for crying wolf. The problem though is that there are project managers who take this concept way too far and try to hide all bad news, even when it is something they have no chance of resolving themselves. This then quickly becomes a way of life with no-one realising that there is a problem until it is too late. After all if you only report good news in the project management report it stops all those awkward questions from the project management stakeholders and PMO. Now you may think that this a far fetched situation which rarely happens. In fact I know far too many project managers who have merrily put their project status report in green for months, and then overnight turn it to red with little explanation. I also know of Program Managers who actively encourage this approach because it means less difficult questions for them to answer at the Program Board. And this doesnt just happen on small to medium sized projects. In the UK a recent report by the National Audit Office on the $468 million public sector C Norris IT System for prisons stated that bad news about this project failed to be communicated up the ladder, and that during the early stages it was consistently reported as a green status. By the time it was realised that the project was in major trouble with timeframe, project scope and project budget issues it was too late to resurrect the project. And in an upcoming article you will see that this is hardly an isolated incident. Now you might ask, but what about the PMO? How did they not pick up the problems? Well the PMO is not the panacea to all ills. It merely reports what it is given within the set tolerances stated within the project initiation document or project charter. But it is hardly difficult for project managers to circumvent these in an attempt not to have to complete an exception report. 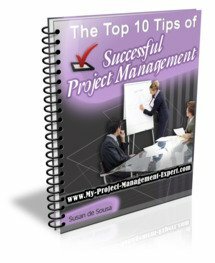 After all how many projects do you know which do not have a baselined project plan or signed off project business case? The bad news is that in this Decade of Austerity where job security and the penalties for failure become evermore harsh this is likely to increase. But it doesnt have to be like that. In my view consistently hiding bad news from the project sponsors in the project status report is a sure fire way to get found out and bring an end to a fledgling career. The key thing is to be a really fast learner and from experience gauge what should and should not be reported in the project status report. The important thing to understand is knowing what to report, what to focus on and what to ignore. Remember there is no point in sweating the small stuff. The big picture is what counts, not how it was put together. OK so I'm biased. As a Program Manager I've seen too many Project Manager's who are economical with the truth when reporting the status of their Project. But is it a widespread practice and is it even the wrong thing to do in a very political environment? Your posting will appear on a Web page exactly the way you enter it here. You can add in links to other useful sites to illustrate your point. You can wrap a word in square brackets to make it appear bold. For example [my story] would show as my story on the Web page containing your story.